Having cake smashed into your face is a cute, fun tradition at weddings, but one girl probably didn’t see the cute side when her brother smashed an entire birthday cake into hers. You might have been fooled by the title of this article into thinking that this brother and sister were perhaps little kids who didn’t know any better, but they are in fact fully grown people whose antics have provided the world with some excellent video content. The birthday girl sat at the table waiting patiently for her celebratory cake, and her brother made sure to give her a birthday surprise she won’t be forgetting any time soon. 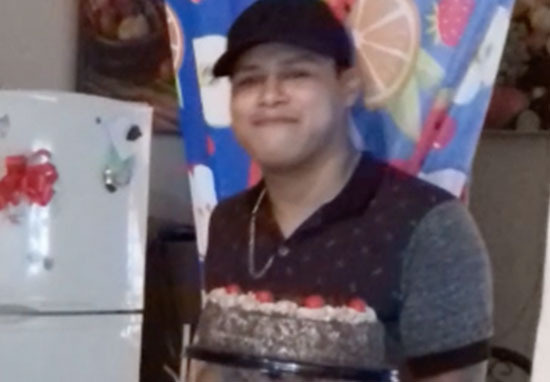 The video was taken in Nuevo León, Mexico, where the guy appeared with his sister’s cake and put on a nice show for his unsuspecting victim as he swayed to the music that was playing, a smile plastered on his face. In retrospect, the smile was probably a smug indicator of the chaos he was about to inflict. The birthday girl no doubt just wanted to blow out her candles and enjoy a slice of the tasty looking chocolate cake, but she barely even got chance to get near it before it was smashed, with considerable force, into her face. It was a direct hit, and though it was just sponge, it actually looked like a pretty painful experience. The person behind the camera exclaimed their shock at the situation before coming out with the laughter that the scene admittedly deserved, but the brother barely broke his stride as he made the strike and carried on swaying his way around the room. The girl made a feeble attempt to throw some of the sponge back at her brother, but with her sight obstructed by chocolate and cream, and with her birthday spirit no doubt shattered, her efforts were unsuccessful. I think the experience is going to cause a lot of future sibling rivalry and potentially some very messy birthday celebrations for years to come. The video was shared online where it gained comments from shocked viewers, with one pointing out that not only did the brother throw the cake, but he also threw the cake stand. I think someone might have been jealous of his sister getting all the attention. Brutal, the cake stand hit her in her face. A prank with some anger behind it. If it were me I’d probably just be mad that I couldn’t actually eat any of the cake without scraping it off my face. I hope the brother had a backup at hand ready to apologise to the girl with. 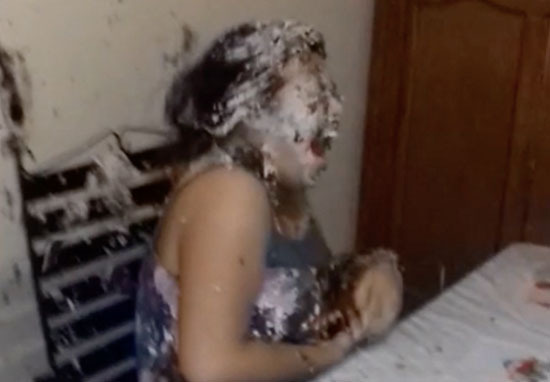 Having a cake smashed in your face is certainly a unique birthday surprise – and I’m sure a lot of evil brothers are now plotting to recreate the scene with their siblings at the first opportunity.